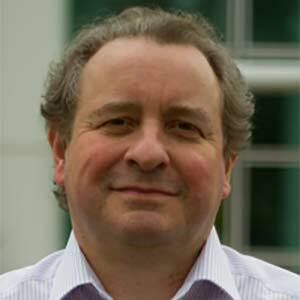 Rhys received a BA degree in Physics in 1980 from the University of Oxford and a DPhil degree in atomic and laser physics, also from Oxford, in 1985. From university he joined a company manufacturing a range of laser products and associated opto-electronic systems, where he was responsible for new product development. More recently, Rhys led an instrumentation company where he started as Research & Development Manager, leading a team of scientists and engineers in the development of new analytical instrumentation products. He later took responsibility for the whole business unit and was a member of the senior management team for the European operation. He also chaired the water instrumentation networking organisation SWIG (Sensors for Water Interest Group) for two years. After starting an independent consultancy in 2006, Rhys worked for a variety of companies, including roles as CEO of a university start-up company. He was project manager in another SME, developing some advanced imaging-based instrumentation for the water industry. He also had a variety of roles reviewing and assessing technologies within companies and universities. In late 2007, Rhys took an interim role at NPL which led to his current position.